How many of us would admit that we have screen addiction? The need to be in the know is a habit that is hard to break. Parents, recognising this addiction in themself, and the effects on their well-being are increasingly concerned about the affect screen addiction will have on their children. To counteract this, parents are investing time and money in helping their kids develop better habits; this is where spas can play a key role. Encouraging children to connect with wellness for prevention ensures they grow-up with the knowledge and passion to remain in the best health. My parents, in theory, had it easy. Keep me safe, clean, make sure I ate my veg – back then not an easy task, and you pretty much had the recipe for a child that would grow-up fit and healthy. My sphere of influence was limited to school, friends, family and electronically a TV with three channels and limited programmes, even periods of time when nothing was aired. Compared to today, the external influence on children now deemed generation X was miniscule. Skip forward and we now have reports that say Millennials growing up in the socially-networked world, are the anxious generation. This hindsight has, in part, created the demand for greater understanding of how children are affected by societal influences. New studies conducted at schools and universities, are analysing the effects of self-improvement programmes that include meditation, mindfulness and breathing techniques. The results continue to prove the effectiveness of introducing simple wellness activities to help children understand their own well-being. Some schools are taking wellness education a step further. It is mental health week here in the UK. In response to this initiative, one of the local schools has introduced an interesting wellness programme. “To live is not just to survive it is to thrive and grow”. They go on to say, “Our development programme aims to create resilient young men who can ride the stresses and pressures of modern life. The programme is about thriving, building resilience and a positive mental framework that reduces the risk of illness. Lessons to promote good mental habits covering subjects such as personal identity and self-image, sleep ‘hygiene’, mind-set, positive goal setting, kindness and gratitude”. We teach the skills of Mindfulness and all of these are reinforced throughout the later years.” Although it makes me pause and consider the influence that the message “survive or thrive” could have on a teenager, it is great to see schools bringing wellness into the classroom and building a foundation. The rise of technology and social networks affects individuals differently. Irrespective of the generation category the reality is we are increasingly seeing a rise in the number of people who identify as being more anxious and looking for comprehensive information to combat the effects; as Thierry Malleret says in the GWI monthly barometer (Millennials are the Anxious Generation), “the greater the anxiety, the greater the search for solutions that can assuage its effects. So what solutions are hotel and resort spas offering? Six Senses Spa, Porto Elounda, Crete, Greece, offers a programme of wellness, education, nutritional workshops and group spa treatments for 5 to 12 year olds. The focus is on having fun whilst learning how to integrate wellness into everyday life through games, treatments, workshops and specialist classes. The three-day programme takes place in the specially created Kids Ark comprised of classrooms, activity rooms, wellness treatment area plus a kitchen and changing rooms. In addition there is an outdoor area with eco gym, labyrinth garden and meditation cave, Hippocrates garden, pool and playground. Fun activities include, making organic beauty products, nutritional workshops combining brunch with learning about bees and bee products and hands on lessons are offered about herbs and plants in the Hippocrates garden. Not forgetting a little me time learning how to do a foot scrub or paint nails and fitness time with sessions in the eco gym and traditional games of the world. At Disney Aulani, Ko Olina, Hawai’i, USA the Painted Sky Teen Spa with its private entrance is exclusively for teens, ages 13 to 17. Hosting daily teen only wellness events, evening programmes, a DIY mixology bar and teen specific massages, facials, manicures and pedicures, and fitness sessions. Disney recognises that although time in an adult designated spa can be fun and feel grown-up, for regular use teens want a space that they can own. This space is designed with their tastes and interests in mind, that isn’t trying to appeal to children ranging from 5 to 17, a difficult task to execute successfully. The Laniwai spa, parent to the Painted Sky Teen Spa, offers family massages for 3 to 6 family members aged 5+ bringing the family together for a shared wellness activity. A recent study from Johns Hopkins University revealed that the US alone would save $120 billion annually if all the children who are currently inactive exercised just an hour a day. That is a staggering number. One location that offers a child-sized world of activity is Forte Village, Sardina, Italy. Their sports academy programme ranging from football to netball and go-karting offers something for all interests. There are themed rooms for younger kids and a specialised clubs for teens with a DJ academy. Recognising the increasing role that grandparents play in childcare and development Soneva Kiri, Koh Kood, Thailand created a family package to bring every generation together. The Great Family Escape, invites guests (package is for up to six adults and three children) to choose from a selection of seven different wellness activities that appeal to adults and children, from family cooking classes, to gourmet tasting experiences – chocolate and wine for adults, chocolate and ice cream for children. The junior spa menu offers a selection of treatments for years 12+ and the list of family activities goes on. Fun, immersive and educational activities such as treasure hunts and tree planting, father and son fishing trips, mother and daughter spa, and discovery tours of the island. Many of the activities take place in the eco-designed bamboo Den. Shaped like a Manta Ray, the Den is a playground with carefully designed spaces for different activities, such as, learning to play Thai instruments, painting, visual arts and pods to relax, read or meditate. At the Mohonk Mountain House, New Paltz, New York, USA, the children’s summer season wellness programmes are divided into four age groups. Each activity is age appropriate and combines fun with outdoor activities. In the evening all children are welcome to join an evening activity providing free time for parents to dine or spa. The highlight of the activities is the junior naturalist programme. Exploring Mohonk’s natural world the kids enjoy fossil hunts, animal and plant identification walks and art projects. Mohonk offers a mindfulness programme as part of the spa menu, with sessions for children six+. Hotel groups are offering corporate initiatives to meet the demands of families looking for wellness centric family holidays. Ritz Carlton, Ritz Kids in partnership with Jean-Michel Cousteau’s Ocean Future Society offers crafted experiences designed upon four key pillars – Water, Land, Environmental Responsibility and Culture. Sharing Jean Michel Cousteau’s vision to understand how the planet works and how we can better protect it. Marriott rewards MAX! programme provides activities and opportunities for children to be active with sports and dance, stay curious by learning about local cultures, go explore their surrounding, or just relax. At Westin as soon as the family checks-in kids are welcomed with a travel journal and a local activity guide, with lots of engaging activities and pages to jot down adventures, such as nutritional cooking and crab hunting. For hotel operators looking to execute an engaging programme of wellness activities, that positions the hotel as a desirable property in the family holiday market, there are best practices and points of differentiation to consider. Parents are clued-up; they are looking for spa and wellness therapies that they believe in, that they know are beneficial because of personal experience. However, the offer needs to address the interests and interaction of different age groups. Legal implications must always be researched as child welfare laws vary and govern the scope of what you offer and how you manage your programmes. Corporate policy must be reviewed and the need for qualified childcare experts and the ratio required must also be understood. Scratching the surface of family well-being. Many resorts and increasingly urban hotels offer amenities and activities specifically for children. Room amenities include mini dressing gowns, indigenous sleeping attire, themed toys and bunk beds. 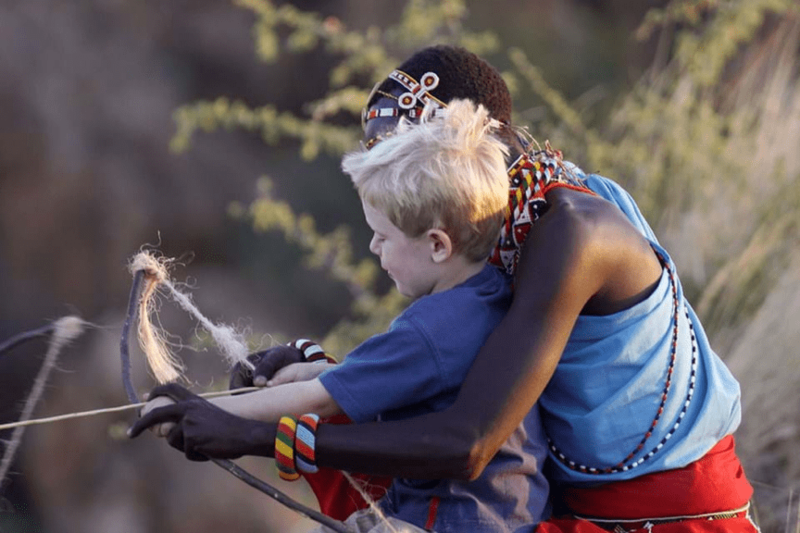 Engaging activities bring a local and cultural element to play, such as, learning to belly dance in Morocco, animal tracking and learning how to make a bow and arrow with a Maasi Warrior in Kenya. Resorts in suitable locations bring an ecological and environment message to activities, with naturalist training, horseback trekking, and introduction to conservation projects such as Hawksbill Turtle data collection. Often the well-being initiative is driven from the kids club, with in spa services only available based on age or if accompanied by an adult. In researching this article a common message was send the children to the kids club and adults come to the spa. Although this is a message that resonates it seemed that a lot of opportunity is left on the table for families to connect together in wellness activities. Shouldn’t we be looking at creating ‘parent me time’, ‘children me time’ and ‘family time’ all based around wellness? Connecting with local wellness experts is a great way to add specialist services in your spa. For individuals the service could be offered on site, or as a group activity for multiple families an offsite location might be better. This could be particularly appealing to single families looking for social activities. Bookmarking retreat dates in the reservation calendar for family wellness short breaks are a great way to bring a different level of wellness to your existing offer; a more immersive programme whilst also keeping activities fun. An additional element of self-understanding could be introduced: mindfulness for communication, meditation for managing frustration, breathing techniques for relaxation but also for improving your swimming and athletics ability. Family nutrition that doesn’t just cover farm to table or cooking classes but how about fermentation or blindfold food tasting to challenge your taste buds with new flavours. Classical spa treatments that go beyond nails, mini massage or facials and include self application techniques such as, foam rolling, learning how to give a neck and shoulder massage to other family members, a great way to relive “tech neck”. As an industry we appear to only be scratching the surface of family well-being. Building healthy habits at an early age has to have significant long–term benefits. To help kids have fun without their screens we need to appeal to them with relevant messaging that gets them excited about wellness activities. Moving the spa concept out of its four walls, bringing spa and wellness into a more cohesive property offering, touches all aspects of the guest stay and creates well-being. On a final note: don’t forget to make your offer compelling to parents and children, something they are going to want to share. Whilst this article is about encouraging families to disconnect from their screens, we are all still going to be drawn back to them at some point. So make sure what you offer is worth talking about.